Makki Korma or Corn ki Sabzi is very simple Indian vegetable recipe which goes best with roti or bread. Easy to cook and yummy to eat!!! 1. Heat oil in a Kadai or non stick pan. Saute onions, peas, corns, green chili. Add seasoning as per taste and cook for 2 min. 2. Add tomatoes and cook it till it gets soft. Add cream and curd mixture and cook for 5- 10 min till the vegetable is cooked properly. 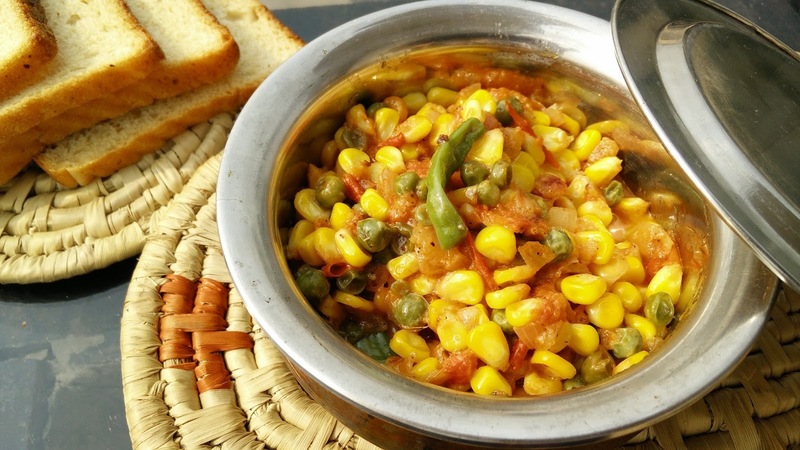 Serve hot with roti or bread.